I love what I do and feel so incredibly blessed and humbled each and everyday to be able to assist people to live healthy and happy lives. It's honestly the best job in the world. 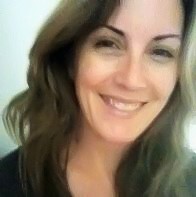 I created Coolum Beach Acupuncture 15 years ago after relocating from Sydney to the Sunshine Coast. I continually strive for self improvement both personally and professionally. I enjoy treating a wide variety of conditions including back and knee pain, digestive health, infertility, stress, anxiety and depression. My treatments are frequently a blend of different techniques, often incorporating acupuncture, NLP, hypnotherapy and energy healing, as well as diet and lifestyle guidance and counselling. As the director of Cosmetic Acupuncture Training Australia I have a special interest in the practice and teaching of Cosmetic Acupuncture and Ruri Face Diagnosis. I love Bodymind medicine and helping people to understand that how they choose to think contributes to their physical health. I volunteered for Coolum Coast Care for several years and now volunteer as a Pyjama Angel for the Pyjama Foundation . AHPRA registered provider of Acupuncture and Traditional Chinese Medicine. Lynda is a registered provider with all private health funds for the treatment of acupuncture. Level 1, 1794 David Low Way, Coolum Beach, Sunshine Coast, QLD, 4573. Ph 07 5471 6511.